Born in Guernsey, David Le Page began learning the violin at the age of seven. He gained a place at the Yehudi Menuhin School aged eleven, where he studied with Margaret Norris and received chamber music coaching from Peter Norris and Hans Keller. He was a prize winner in both the BBC Young Musician of the Year and the Yehudi Menuhin competition. He completed his studies in Bern with Igor Ozim and in London with Sidney Griller. David has worked with a diverse selection of artists and ensembles as a director, soloist and chamber musician, including the Kreutzer Quartet; Billy Jenkins; Thomas Ades; Chroma; Paul Zukovsky; Keith Tippett; Errolyn Wallen; Guy Johnson; Julius Drake; Abdullah Ibrahim; John Tavener; Sir Michael Tippett; Phillip Sheppard; Lucy Bailey; the Medici Quartet; Charles Owen; the Gogmagogs; and the St Petersburg Quartet as well as the Adderbury Ensemble. David has also formed his own groups: the Le Page Ensemble, Camera Obscura, Subway Piranhas, The Harborough Collective and Mysterious Barricades. 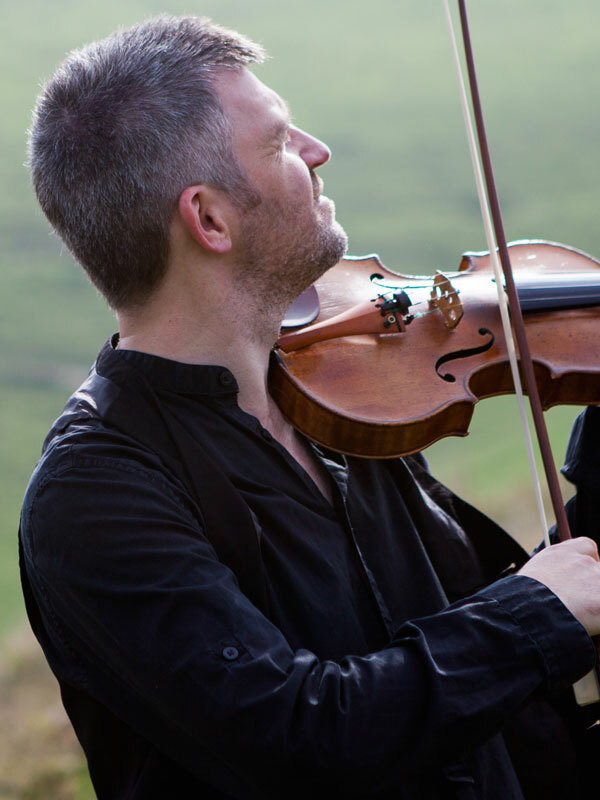 In 1995 he became the violinist with the Composers Ensemble, giving world premieres to works by John Woolrich, David Matthews, Gerald Barry, Tansy Davies and Julian Anderson amongst others. In 2006 they gave the first performance of Thomas Ades’ ‘Court Studies’ at the Aldeburgh festival with the composer at the piano. The ensemble has made many recordings for the BBC and has appeared at most of the major festivals in the UK including Cheltenham, Huddersfield, Brighton and Spitalfields. David was appointed leader in 1999 of the Orchestra of the Swan, a Stratford-upon-Avon based chamber orchestra, which has garnered critical acclaim for its imaginative programming and commitment to new music. The orchestra has commissioned many new works and gained a reputation for inspiring live performances. David regularly appears as soloist and director with some of the UK’s leading orchestras. He also teaches at Birmingham Conservatoire and was recently appointed as an ambassador for the European String Teachers Association. Besides recordings of Vivaldi’s Four Seasons and other baroque works made with the Adderbury Ensemble, David has recorded the complete Tippett quartets; Shostakovich quartets; “The Music of Neglected English Composers” with Roger Eno; Keith Tippett’s piano quintet, “Linuckea”; music by Gerald Barry; “Frantic Mid-Atlantic” with Evelyn Ficarra; “The Rune of Hospitality” with Mark Chambers; “Pierrot Dreaming” music by Thea Musgrave; the Goldberg Variations with the Le Page Ensemble; Bach’s Sonatas and Partitas; and an album of his own material, “As The Crow Flies”.